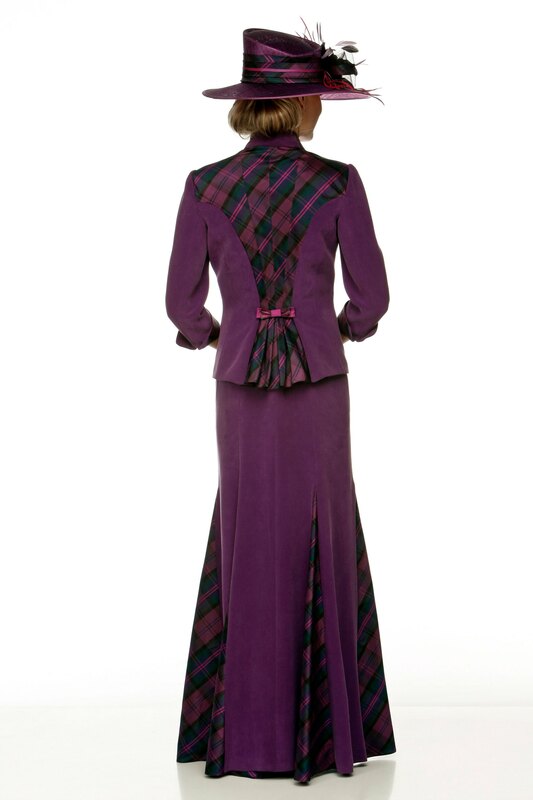 Short fitted jacket with tartan pockets and back detail over high waisted dress with tartan bodice and inset godets. 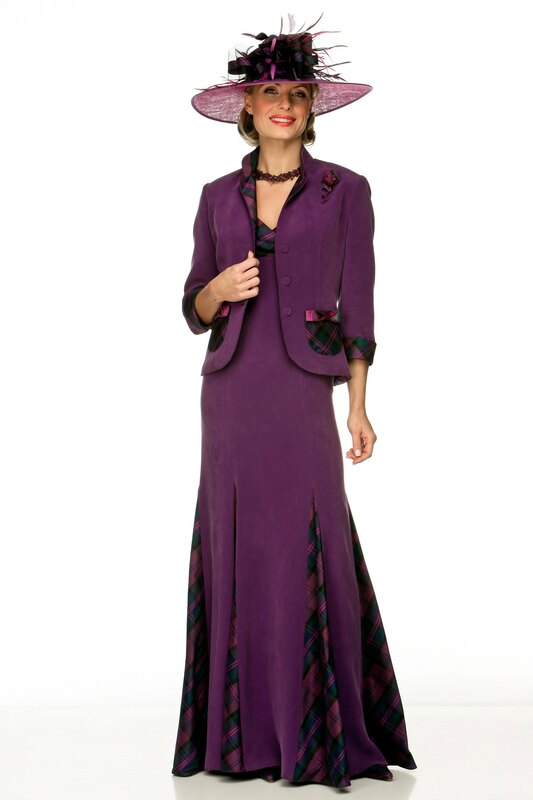 Choice of colours and tartans. Made to measure. Matching neclace is made to order with crochet wire, beading and tartan rouleau to match outfit perfecting.